NIEZAWODNA ODPORNOŚĆ PRZEZ CAŁY ROK. Apogen®: a new, unique product on the Polish market. 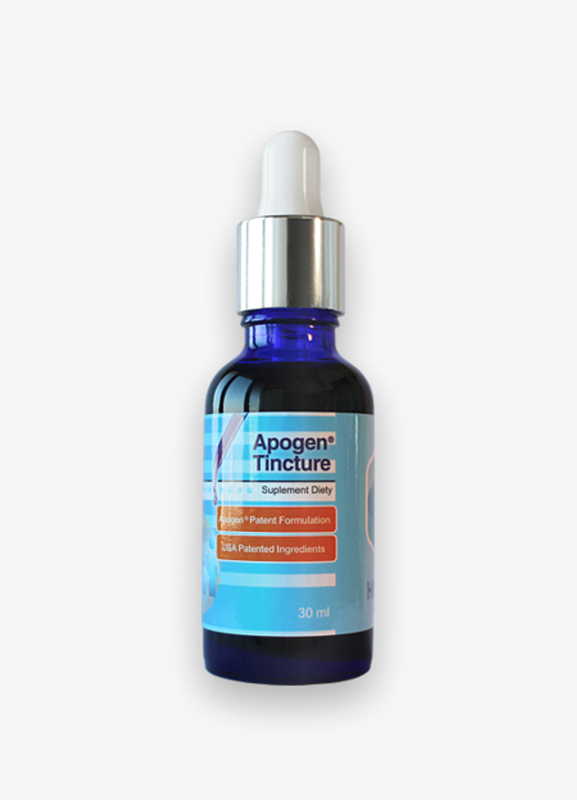 Apogen® Tincture is a dietary supplement which contains a refined and natural extract from spirulina FEM 101, a micro-algae of the Spirulina platensis species. The unique properties of Apogen® and its production have been subjected to meticulous scientific studies and are protected by American and international patents. Spirulina platensis is an algae which promotes the proper functioning of the immune system. Ingredients: fructooligosaccharides (FOS), Apogen® – natural extract from spirulina (Spirulina platensis), mint flavour. How to use: Children over 3 years: from 0.5 to 3 ml of the liquid under the tongue. Adults: 1 to 6 ml of the liquid under the tongue. Can be diluted with water and consumed as a drink.